The statistic above shows the growth of Pandora's quarterly revenue from the first quarter of fiscal year 2011 to the third quarter of fiscal year 2018. 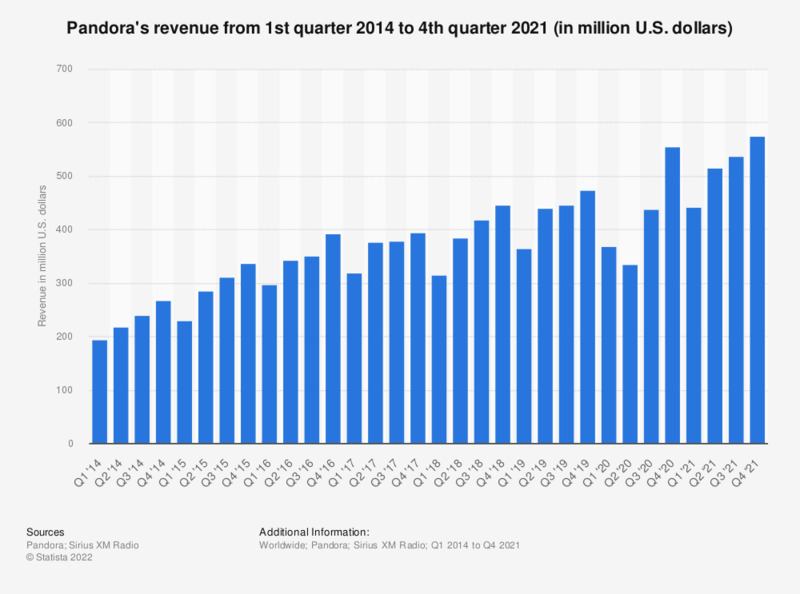 In the last measured quarter, Pandora generated a total revenue of over 417 million U.S. dollars. Here you can find information about Pandora's annual revenue. Figures other than Q3 2017 and Q3 2018 come from Pandora's earlier releases.